Studies have shown that wearing socks to bed can help you get a good nights sleep. It's a little strange but it's absolutely true. While many of us blame a poor night's sleep on anxiety or a snoring bed-mate, it's our total sleep environment that is the most overlooked factors in the quality of our sleep. If you have ever gone searching for a solution for sleeplessness, you will be familiar with the term sleep hygiene. Sleep hygiene is the combination of environmental factors that influence our sleeping life. These range from the food we eat before going to bed, to our bathing habits and of course, the sights, sounds and smells of our bedrooms. So if you are having problems sleeping, setting up your bedroom for the first time or would just like to awaken feeling more refreshed, we might just be able to help you. Keep reading for a few small, but powerful tips for getting a healthy sleep. Plus, of course a few beautiful bedrooms for inspiration. The biggest preoccupation for many insomniacs is the quality of their mattress. When you're exhausted and the mind is racing, any mattress can feel inadequate. Everyone will have their own preference, so the only universal advice we can offer is to find a store that lets you try the mattress in your home for 30 days. Don't worry about coils and get caught up with fancy accessories. All you need is the right mattress for you. Let's not also forget the importance of the right sheets. The single most important piece of advice we can offer is to choose natural fibres. They allow your skin to breathe and will avoid the tossing and turning that comes from a fluctuating body temperature. Choose a super high thread count for a little luxury. If you are one of the rare people who like to rise with the sunrise, ignore the following advice. If not, it may just save you a sleepless night. 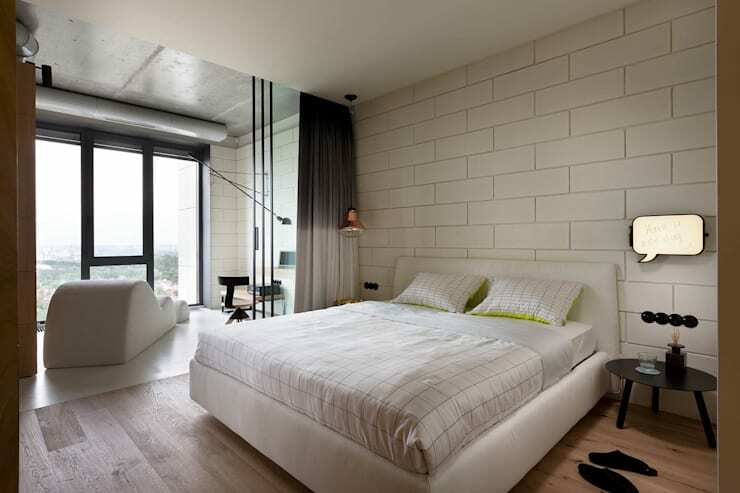 Quite simply position the bed so you are facing away from streetlights and natural sunlight. When we move from one stage of sleep to another, our eyes often flutter open and the glint of a streetlight or a full moon can wake us. In the morning, you can avoid being woken prematurely by the first glimmers of daylight. Noise pollution is such a widespread issue that there is sure to be a solution to suit your needs. A cheap, temporary solution is a pair of good quality earplugs. But these are not recommended for long-term use as they tend to be breeding grounds for bacteria. If you are not concerned about the electrosmog, you might try listening to some white noise or soothing music. For those who want a more permanent solution look at buying some acoustic curtains. These are a relatively new product and are reported to be very effective in blocking sound when hung over a window or door. Finally, you might want to try some stylish sound baffles made from padded fabric or acoustic tiles on the walls. 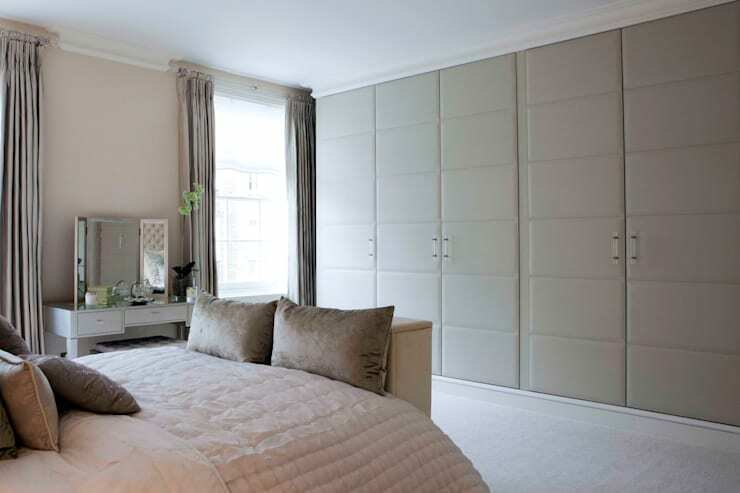 As seen here, they can be an extremely stylish and subtle addition to the bedroom. An overactive or racing mind is a common culprit in the battle for sleep. Our minds are highly reactive organs and the slightest visual stimuli in the form of work papers or even books are likely to get the brain thinking about work. This means that reading your emails in bed are an absolute no-no. If you don't have much choice about your workspace, consider a screen or a dividing door like this to eliminate the distraction. It will make a huge difference. Beds with metal bedsprings often contain residual magnetic energy. It's not something many people consider, but it makes absolute sense. What surprises us more is that static magnetic fields have the potential to disturb our REM sleep. Those with prolonged sleeping problems may want to consider painting their room a pastel shade. Research has shown that colours such as bright reds and yellows set us up to be more active and that's certainly not going to help you sleep soundly. 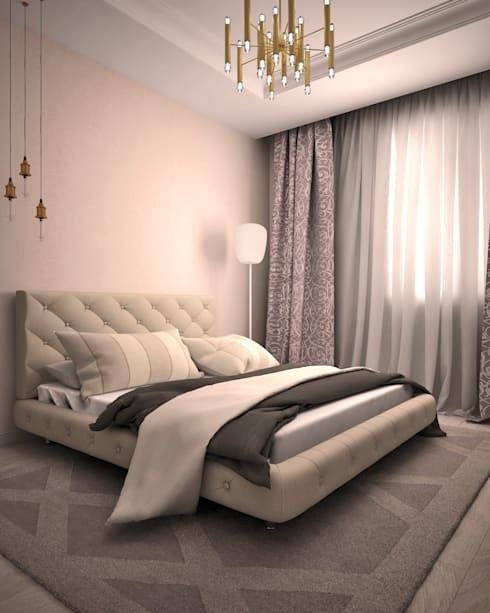 Just look at this soothing bedroom by Adam Designers. Egg-shell white, lavender and greys are ideal shades for a good night's sleep. Don't forget that a peaceful decor does not end with the right colour choice. Eliminating photos, decorations and even trinkets that remind us of exciting or stressful events will help enhance the quality of our sleep. If you are interested in bedroom decor, you will love this Ideabook In the mood for love: romantic bedrooms. Do these bedrooms make you just want to snuggle up and fall asleep? We'd love to hear in the comments below.